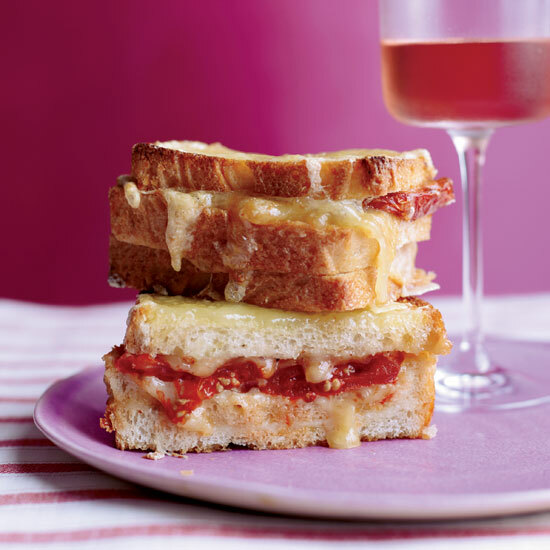 These pairings include three-cheese grilled cheese sandwiches and a super-fragrant and flavorful Syrah. Dry-farmed (i.e., unirrigated) vines are part of the secret to this terrific Zin's bright, berry-rich intensity. 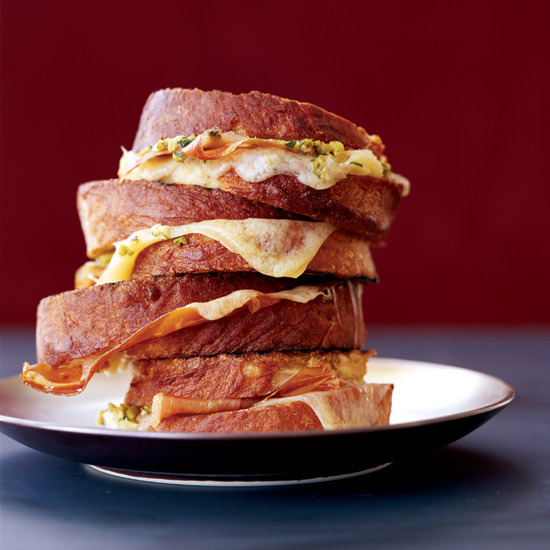 This sandwich is intensely rich with cheese, bacon and mayonnaise, calling for a full-bodied white with good acidity, like Chardonnay. Seven different clones of Pinot Noir go into this lithe red, which is defined by wild strawberries and herbs. 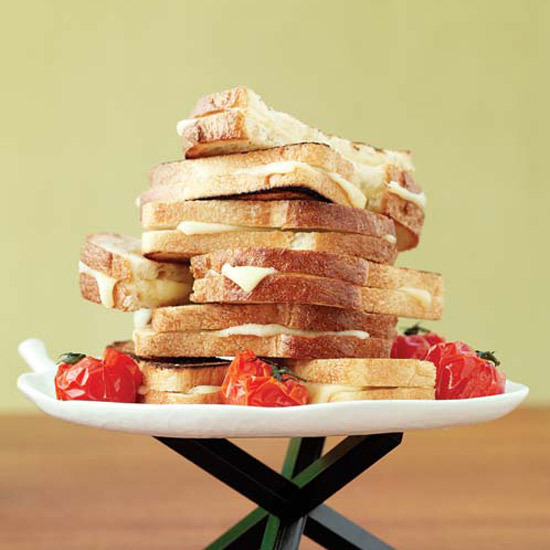 A supereasy sandwich, this grilled cheese calls for a mix of Gruyère, fontina and mozzarella. 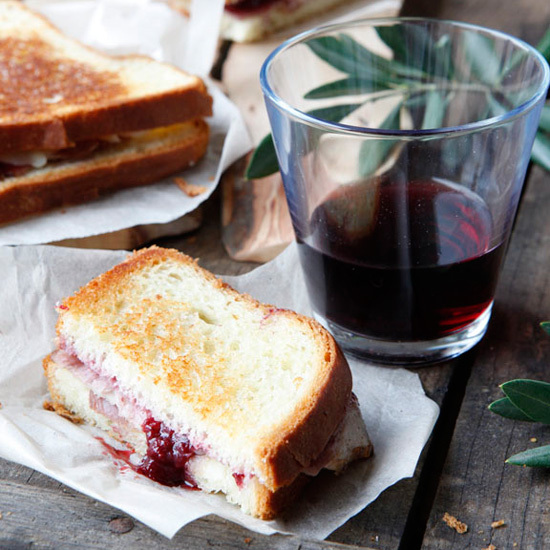 To pair, try a fragrant and flavorful Syrah, with layers of spice, black fig and sandalwood. This elegant, strawberry-inflected rosé is wonderfully food-friendly, but delicious sipped on its own, too. 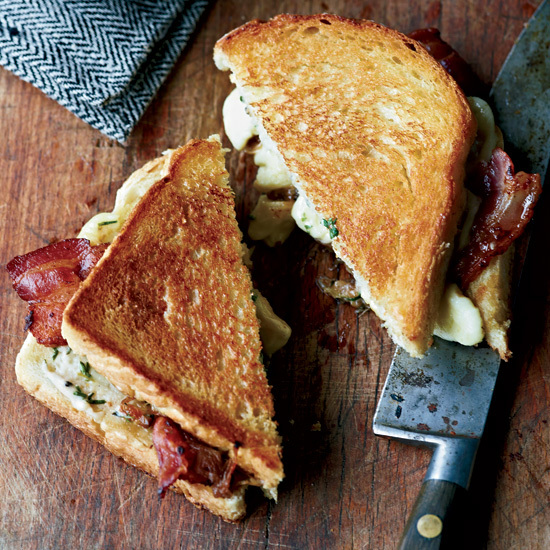 Dive into the delectable sandwich with a fork and knife or pick it up with your hands, providing there are plenty of napkins close by. 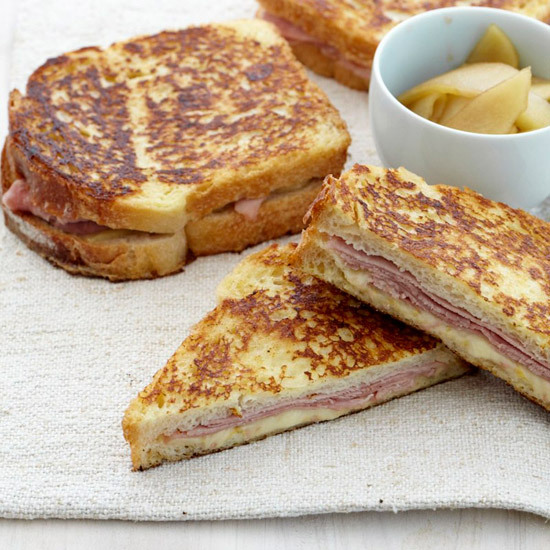 Chef Jesse Cool likes to tuck the maple apples in with the ham and cheese, but the fruit can be served on the side, along with a spicy mustard or horseradish sauce. 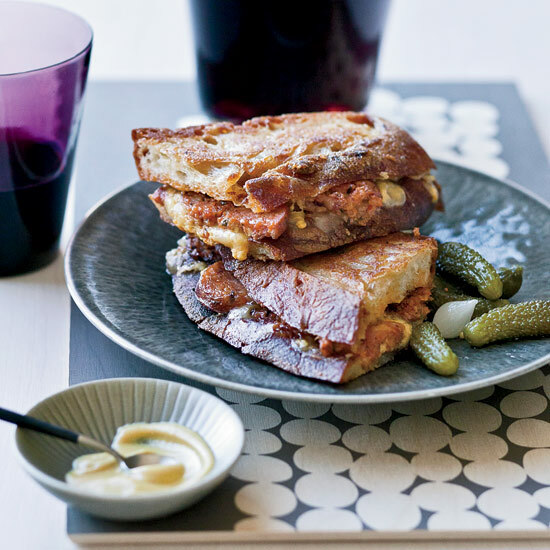 Smoky, salty ham and sweet, nutty Gruyère are perfectly complemented by the contrasting fruity, tart character of a dry Riesling like this minerally Oregon bottling. The Pérez family's young, unoaked Mencía shows gamey ripe plum and brandied cherry flavors. 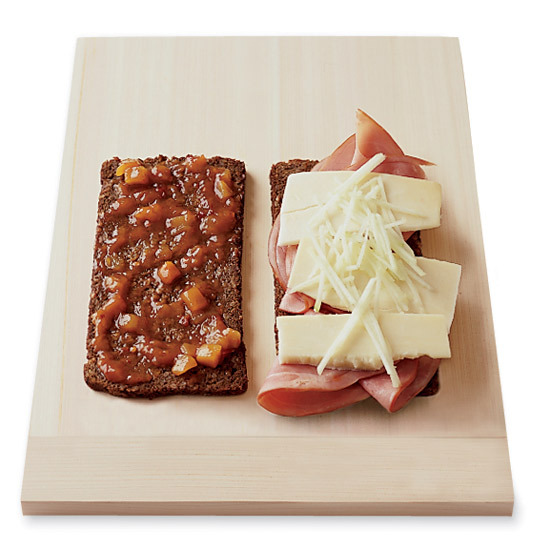 F&W's Grace Parisi likes the sweetness of the mango chutney in this sandwich. This single-vineyard Chenin Blanc offers a quintessential Vouvray mix of penetrating minerality and a hint of sweetness, plus juicy pear notes.